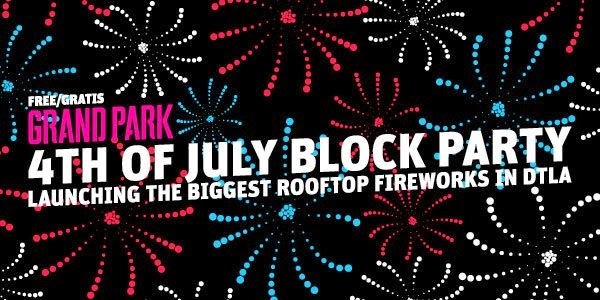 We're taking it easy today -- maybe heading downtown for some cool eats and then hitting Grand Park for its free 4th of July Block Party (from 4 p.m.-9 p.m.), complete with rooftop fireworks. With two little kids -- especially with one under 2 years old -- I don't know that we'll make it until 9 p.m., but I'd love to check out the live music and other festivities (hello, food vendors and a splash pad for the little ones!) until dinnertime. 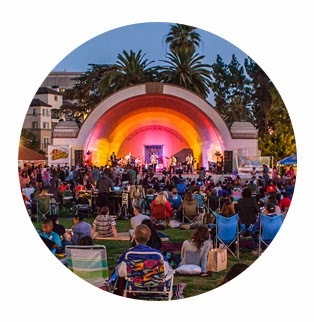 Another awesome free event happening in the L.A. area is live music at the Levitt Pavilion in Pasadena. Not only will Night Train Music Club be performing in the bandshell, there will also be a Kidzone, featuring face painting, coloring stations and balloons. What's also great is that you can see the Rose Bowl fireworks from the Pavilion. Best of all -- both events are free! Have fun and stay safe! Friday Finds: Infinity for Girls!